Mondello offers a stunning panorama view on a long curved white sandy bay. 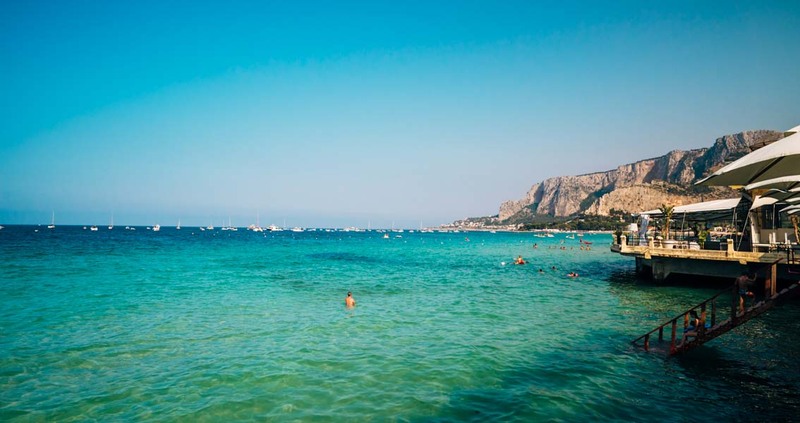 Considered the most important beach near the city of Palermo, Mondello is known for its historic seaside village. Close to the city, it offers a stunning panorama view on a long curved white sandy bay that each year hosts thousands of tourists from all over the world. This beach, located at the foot of Monte Pellegrino and Monte Gallo, offers a large variety of fully equipped lidos with comfortable sun beds and umbrellas that is a very special place to chill out. Every year this beautiful coast becomes an energetic hub for the lively summer months. You can join in with lots of fun water and beach sports, such as beach volley and tennis. 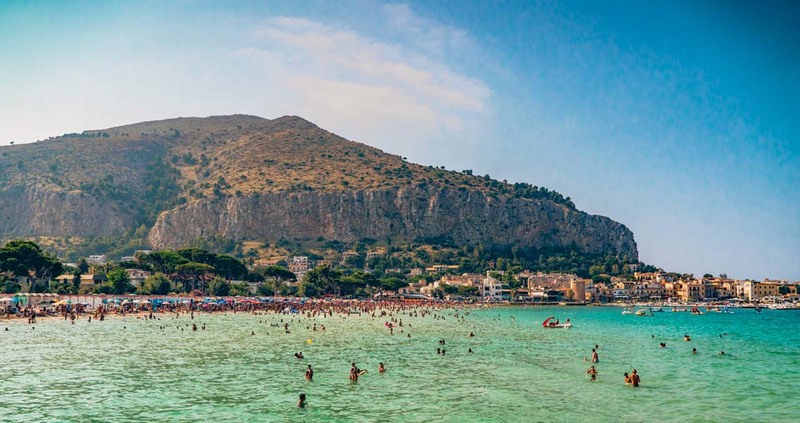 Mondello is one of the most popular destinations loved by the jet-setting and vip people of the western world, so if you’re lucky you might rub shoulders on the beach with a Hollywood actor or famous model! Back in the day this location looked like a very uncomfortable place to live due to a horrid swampland but when it began redevelopment at the end of the nineteenth century lots of Sicilians and Palermitani built elegant and fascinating cottages, hotels and resorts, changing its appeal forever. This seaside resort is the perfect place to enjoy lively night life and local events organized on the beach from dusk till dawn. Is there a free or public beach at Mondello or nearby? Hello Philip. If you go to Mondello you can find free beaches and full equipped lidos!